The National Association of Decorative and Fine Arts Societies was founded 50 years ago. Now rebranded as the Arts Society, its membership is made up of local and regional societies formed by people who share a passion for the broad range of arts and are curious to find out more about artistic heritage. Dorset’s various Arts Societies – Bournemouth and East Dorset, Wimborne and Blandford, Wimborne Evening, Poole, Dorset County, West Dorset, Sherborne and Blackmore Vale, plus the Arts Society Wessex Area South that meets in Cerne Abbas – are all run along similar lines. They gather on a monthly basis to hear talks by lecturers who have been approved by the Arts Society at a national level. In addition, the groups organise special interest days and excursions to stately homes, art galleries and the like where they are shown round by approved guides. Some also arrange short holidays. Wessex Area South runs a series of study days in Cerne Abbas village hall with five days each of three hour-long lectures with lunch. The study days have so far attracted capacity attendances of around 100 participants with the next, ‘Women artists, patrons and collectors from the Renaissance to the present day’, due to begin on 25 October. The Dorset societies range in size from the 60 or so that attend Wimborne Evening Arts Society and the 100-odd at West Dorset, to the 400 members of Dorset County and the 600 at Sherborne. Size of membership has some bearing on the range and number of activities each group can sustain, but they all intermingle and it is not untypical to find coteries from several groups at lectures all over the county. In common with many such organisations, the Arts Society has made a priority of reaching out to new, younger members and its Young Arts agenda has seen local groups raise funds for a wide range of projects. The Bournemouth and East Dorset group joined with Poole to support a multi-arts project and performance at Lighthouse by Bath Philharmonia with Poole Young Carers in partnership with SoundStorm music education hub. They have also helped local schools at both primary and secondary level by funding art workshops to further broaden the students’ education. 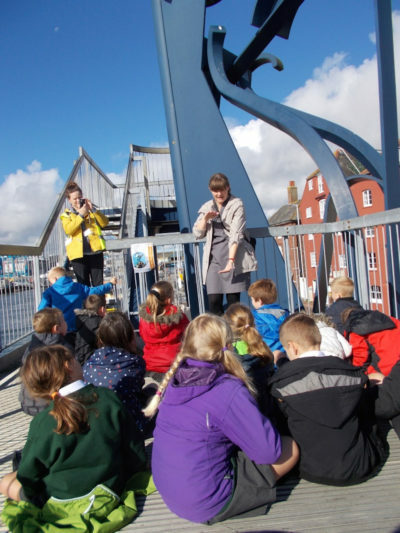 Other countywide projects include children’s trails in which eight- to twelve-year-olds can explore local churches and places of interest to complete worksheets with the answers held by their parents. The societies are also involved in church recording volunteer projects to detail artefacts in local churches, with the Arts Society Dorset County preparing to embark on its sixth such project to detail the furnishings of St Andrew’s at Minterne. Copies of the reports are lodged with Dorset History Centre as well as the Victoria and Albert Museum, in diocesan archives and at the church itself. The Blackmore Vale and Poole societies are involved in an ongoing project to restore the library books at St Giles House, family seat of the Earl of Shaftesbury at Wimborne St Giles. The Vale group also sponsors a prize for artists under 25 exhibiting at the Guggleton Gallery in Stalbridge. In Sherborne the society is supporting the Willows Mural project at the Yeatman Hospital as well as continuing its commitment to run projects with Sherborne Abbey Primary School. Nationally, the Arts Society collaborates with the Royal Society of British Artists in its RBA Scholars exhibition. 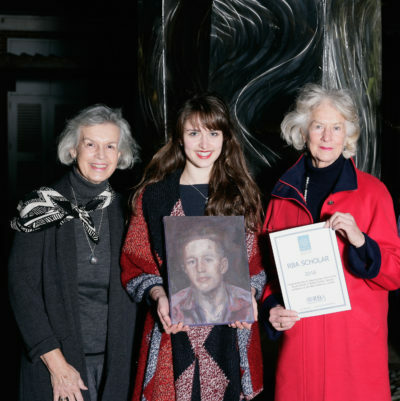 Most of the local societies have contributed works for consideration but so far only Dorset County has been successful in getting work accepted for the annual show – this year saw Thomas Hardye School student Charlie Pike show a self-portrait following Laura Hounsell’s portrait ‘Christopher’, which showed in the 2016 exhibition. ‘Of course we’re delighted for Dorset County but the rest of us are determined to get in on the act,’ jokes Ann, accentuating the friendly rivalries of these most cultivated collections of enquiring minds.